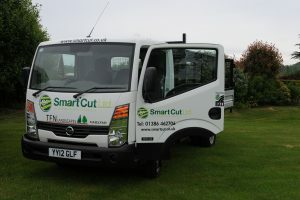 Originally established in 1994 to provide grounds maintenance to the Vale Golf and Country Club, Smart Cut Ltd has gone from strength to strength and we now boast an impressive portfolio of customers and a work force in excess of 30 staff and a vast array of professional maintenance equipment to provide the best possible service and equipment. Smart Cut has now grown and established as a business utilising the experience over the years with the take over of TFN Landscapes. In addition to TFN, Smart Cut have recently opened a training facility within the grounds of Smart Cut, Training Smart. Offering courses in Rolo, Heath & Safety, Environmental Awareness and Driver CPC, Training Smart aim to deliver all your argricultural training certifications right from the heart of the country.